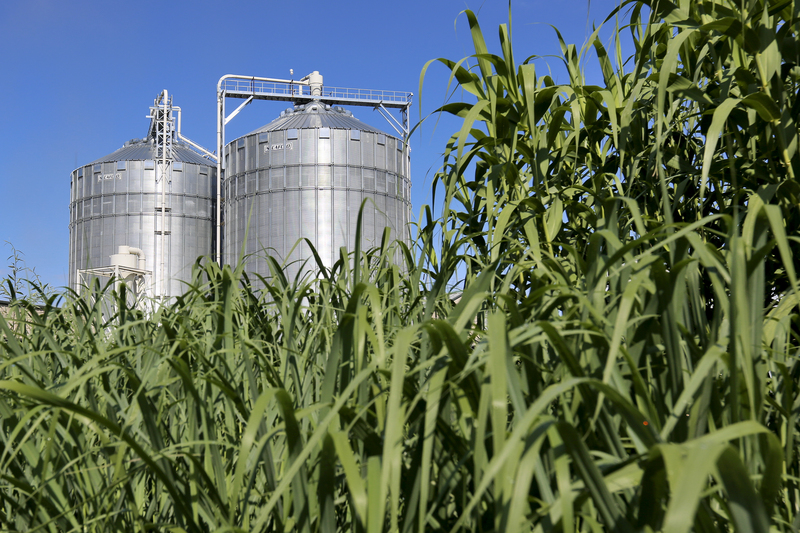 As part of the Bioenergy Study Tour hosted by the Department of Energy’s Bioenergy Technologies Office and Oak Ridge National Laboratory, participants will visit switchgrass fields and facilities in East Tennessee. OAK RIDGE, Tenn., April 11, 2016—Researchers and others interested in establishing a sustainable bioeconomy in the U.S. are taking part in a five-day study tour led by the Department of Energy’s Oak Ridge National Laboratory. Approximately 70 attendees from DOE and its national laboratories, the International Energy Agency (IEA), universities, industry and regional stakeholders such as landowners and nonprofit organizations are participating in the Southeast United States Bioenergy Meeting, which runs through April 14. The meeting and study tour will highlight innovations developed by DOE’s Bioenergy Technologies Office (BETO) in support of deployment of a sustainable bioeconomy. The BETO-sponsored event will highlight sustainability considerations associated with biomass feedstocks such as perennial grasses and woody residues as well as harvesting operations, logistics and use of the materials. Today’s overview includes discussions of the wood-based pellet industry in the southeastern U.S. and tours of ORNL’s National Transportation Research Center, forests on the Oak Ridge Reservation and the University of Tennessee Forest Resources AgResearch and Education Center in Oak Ridge. The subsequent bus tour includes stops at switchgrass fields and facilities in Vonore, Tenn., a cogeneration plant at Savannah River National Laboratory, privately and corporately held forests in South Carolina and Georgia, and wood pellet production operations in Georgia. Although the tour is focused on the Southeast, researchers from Argonne National Laboratory in Illinois, Idaho National Laboratory, and the National Renewable Energy Laboratory in Colorado will discuss work in international sustainability, feedstock logistics, landscape design and modeling applied to other regions. Dale and others at ORNL will present their research in defining metrics and indicators of sustainability. Members of bioenergy-specific task forces from the International Energy Agency, an autonomous organization that studies energy issues related to reliability, affordability and sustainability, will also hold discussions as part of the tour. Follow #BioenergyTour on Twitter for updates from the bus tour. This event is sponsored by DOE's Office of Energy Efficiency and Renewable Energy's (EERE) Bioenergy Technologies Office. For more information, please visit http://www.bioenergy.energy.gov. ORNL is managed by UT-Battelle for the Department of Energy's Office of Science, the single largest supporter of basic research in the physical sciences in the United States. DOE’s Office of Science is working to address some of the most pressing challenges of our time. For more information, please visit www.science.energy.gov.